Many patients choose to undergo dento-facial aesthetics to make the most out of their dental cosmetic treatments. Making your smile look incredible is not possible if wrinkles, fines lines or thin pursed lips distract from the appearance of your smile. At Morphett Vale Dental Care we love to look beyond teeth to achieve the best cosmetic result for our patients. There are two main treatments involved in dento-facial aesthetics: dermal fillers and muscle relaxants. Our dento-facial aesthetic procedures are undertaken by Dr Erika Guerra BDS, she has her accreditation for Skin Rejuvenation and Dental Facial Aesthetics from the global training body AADFA. 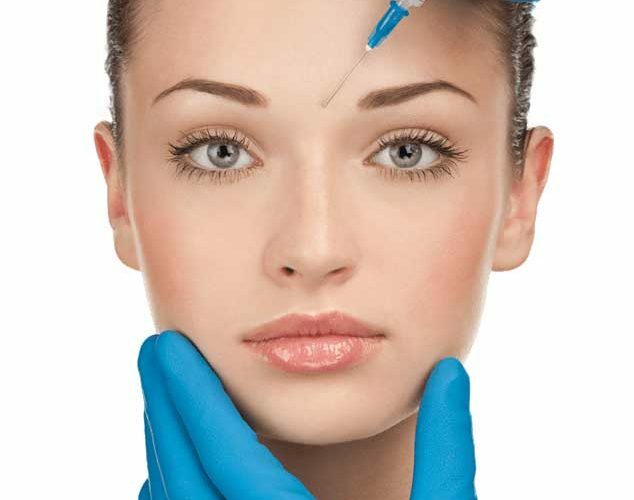 Anti-wrinkle injections or muscle relaxant injections are a safe and effective procedure used to reduce and eliminate the appearance of wrinkles. Muscle relaxants are used to prevent static wrinkles (permanent wrinkles) from forming. Many people develop permanent lines on their forehead, around their eyes, in between their eyebrows and around their mouth where regular use and expression occurs. Muscle relaxants are designed to reduce the risk of this overuse and formation of wrinkles without sacrificing total movement. At Morphett Vale Dental Care we also use muscle relaxants for patients with Temporomandibular Disorders (TMD) who actually experience pain from overuse of masticatory muscles, as well as patients who want to improve the appearance of their dento-facial (oral and facial) area. slim the jawline and many other conditions caused by undesired muscle action. The Anti-wrinkle solution is a neuro-modular protein that temporarily stops the nerve from sending messages to the muscles. As a result, the muscles that cause the skin to crease are relaxed, so the overlying skin becomes smoother. By doing facial injectable we can help you appear fresher, more relaxed, healthier and a more revitalized version of yourself. Our goal is to provide natural looking results for patients.